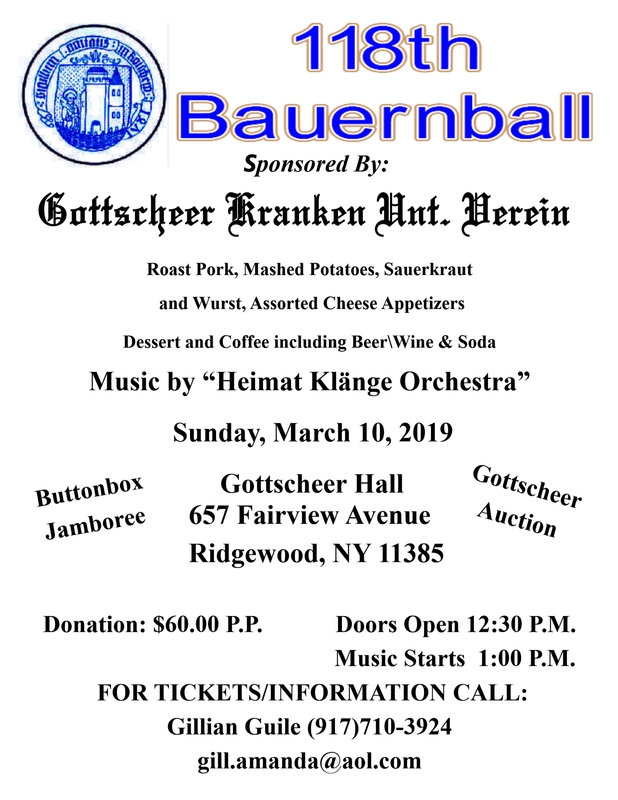 The Gottscheer KUV is hosting its annual Bauernball at Gottscheer Hall on Sunday March 10th, 2019. Music provided by the Heimat Klaenge from Philadelphia. Enjoy roast pork, mashed potatoes, sauerkraut and wurst, coffee, dessert and beer, wine and soda for $60.oo per person. Our Bauernball features a Button Box Jamborree, a Gottscheer Auction and the awarding of a College Scholarship. Call Gillian Guile for tickets at 917.710.3924 or email gill.amanda@aol.com.